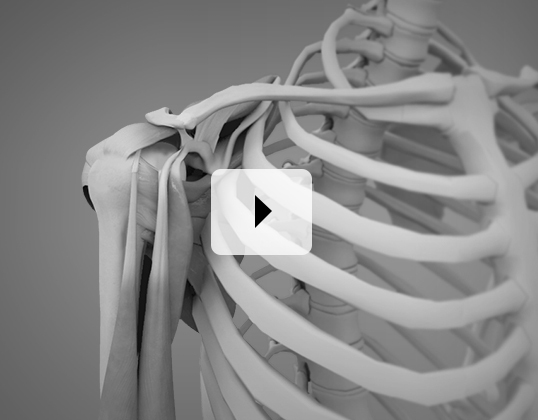 The shoulder is made up of the clavicle (collar bone), humerus (upper arm) and scapula (shoulder blade). The shoulder is a ball and socket joint where the ball of the upper arm bone articulates with the socket of the shoulder blade called the glenoid cavity. The shoulder blade is a flat triangular bone present on either side of the upper back. The upper arm is made up of a bone called the humerus. The head of the humerus fits into a shallow socket in your scapula (shoulder blade) to form the shoulder joint. The humerus narrows down into a cylindrical shaft and joins at its base with the bones of the lower arm to form the elbow joint. Ulnar collateral ligament (UCL) reconstruction surgery involves replacing a torn ulnar collateral ligament with a tendon from elsewhere in the body. It is also referred to as tommy john surgery. The UCL, also called medial collateral ligament, is located on the inside of the elbow and connects the ulna bone to the humerus bone. It is one of the main stabilizing ligaments in the elbow especially with overhead activities such as throwing and pitching.